At Ezee Credit, our approach to bad credit auto loans is simple: Provide affordable ﬁnancing and quality, low mileage vehicles that let you rebuild your credit. Our great selection of cars, vans, SUVs, crossovers and trucks are carefully chosen to help give you a fresh start. And if we don’t have the make and model you’re looking for, we’ll find it for you! Every Ezee car undergoes a comprehensive inspection by one of our Certiﬁed Technicians. We know that reducing the possibility of unexpected repair costs makes it easier for you to manage your payments and re-establish your credit. We also report to the credit bureaus regularly, so your good payment track record helps rebuild your credit while you drive. It’s one more part of our proven recipe for your success. Get started today. We make it Ezee. Thank you to the staff of EzeeCredit for helping me achieve this purchase. In particular I'd really like to thank Kathy for all the hard work she did in making this dream a reality. All the extra effort she made, and all the kilometres she put on her legs walking back and forth on my behalf really made this a pleasurable experience for me. Thank you all so much! 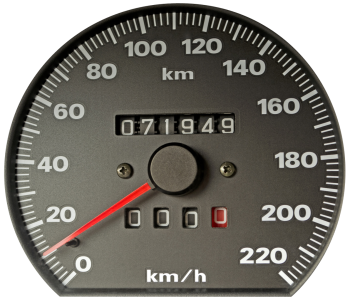 How many kilometres do Ezee Credit cars have? We think the ideal vehicle has under 80,000 km. In our extensive experience, customers with poor credit have the greatest success in late model cars with 80,000 km or less at the start of their bad credit auto loan or lease. These vehicles haven’t reached the stage where major repairs are likely, and may even have some remaining factory warranty. We believe this rule-of-thumb gives you a reliable vehicle to meet your needs – and the best opportunity to begin rebuilding your credit. Take a look at a sample of the excellent vehicle selection we currently have in stock, and you'll see that the vast majority have low kilometres. Many bad credit car loan providers talk about their vehicles being "fully certified." This Ministry of Transportation requirement involves a 44-step review that is focussed on vehicle safety. However, the thoroughness of this inspection can vary widely depending on the mechanic. Not all safety checks are created equal - and some are less equal than others. Every Ezee Credit vehicle undergoes the MTO Certification process. But we don't stop there. Our certified Class A technicians conduct not one, but two Road Tests, and put every vehicle through a detailed inspection that looks at an additional 72 systems and components - 116 in total. That thoroughness ensures your Ezee Credit vehicle is certified and reconditioned before you drive it off our lot - and helps reduce the chance of unexpected repair costs. We also have an independent CarProof® Report conducted to provide you with a detailed history of your vehicle. It's one more way Ezee Credit provides you with confidence in the vehicle you choose. APPLY NOWPut yourself behind the wheel of a quality Ezee Credit car today.